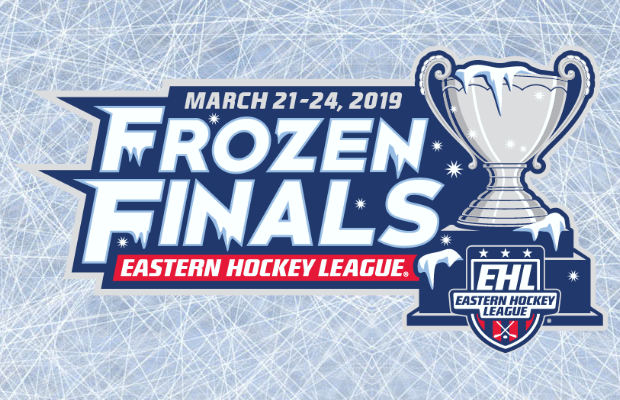 BOSTON, MA -- The Eastern Hockey League Premier (EHLP) is pleased to announce that for the second year in a row, the EHLP Championship Game will be held at Schneider Arena on the campus of Providence College. "The main reason for the success of last year's event was the fact that we played in such a phenomenal venue," said Mark Kumpel, the EHL's Director of Hockey Operations. "Eric Dursin and the staff at Schneider Arena were incredible hosts, and we all felt great when we crowned our champion back on March 25th. In working with my fellow league officials, as well as the owners in the EHL, we quickly decided on returning to Providence again this season. We can't wait to see who makes it all the way and wins the 2018-19 EHLP Championship." Take a look back at the 2018 EHLP Championship Game, as the Boston Jr. Rangers won their second title in three years.